Not everyone is blessed with a large acreage to plant out the garden of their dreams. It’s easy to feel defeated when all you have to work with is a small patio or an urban backyard. Don’t be discouraged. 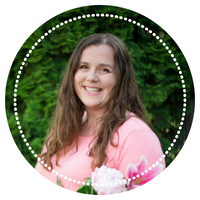 I’ve compiled some ideas to get you thinking outside the box (or garden plot) and working with the space you do have. Bonus–most of these ideas can be implemented easily if you’re on a budget. No land space? 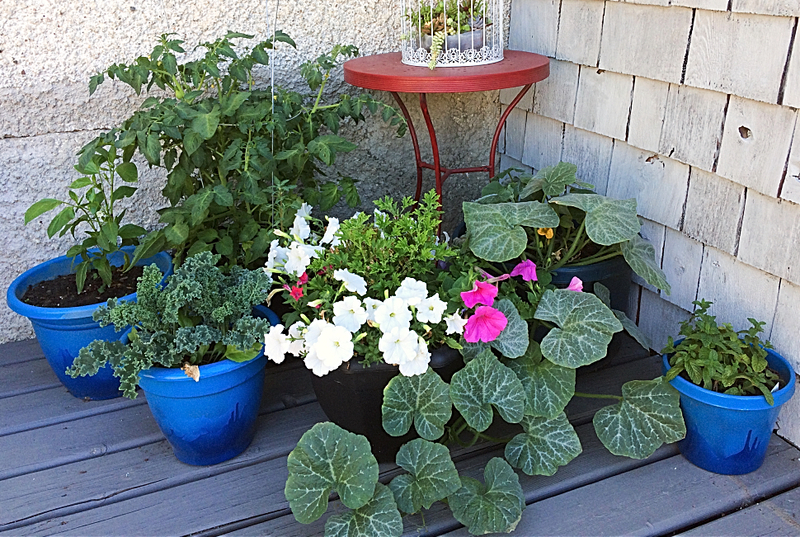 Your small apartment balcony or backyard patio can be the perfect place for a container garden. 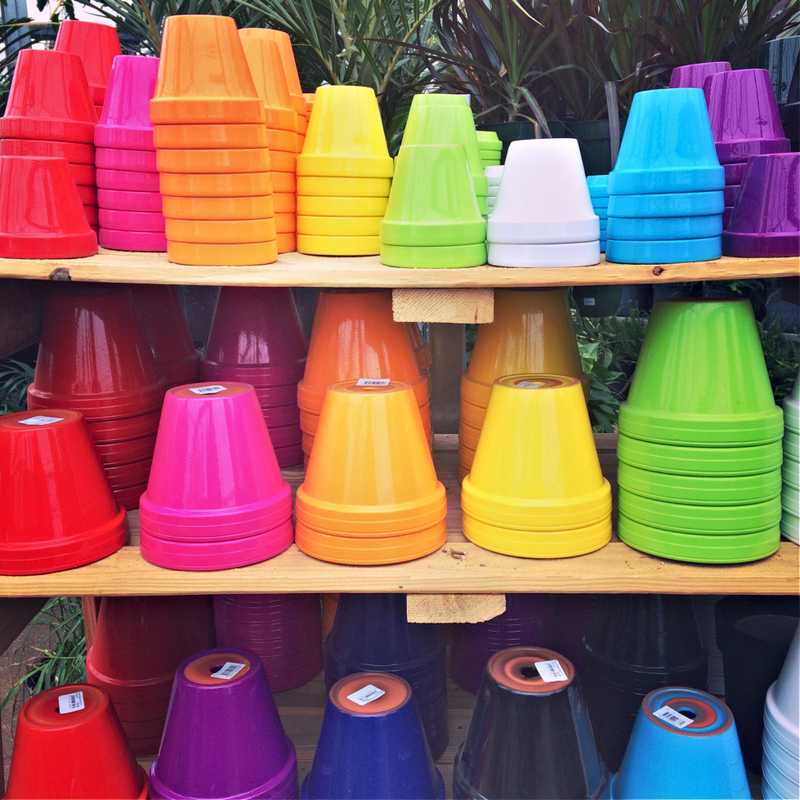 Buy the biggest containers you can afford (not these ones pictured–unless you’re committed to frequent watering). Don’t limit yourself to flowers! Vegetables and herbs make lovely container plants. I like planting a combination of all three and enjoying them on my backyard deck. Having flowers among your vegetables also helps control unwanted bugs that destroy your vegetables. 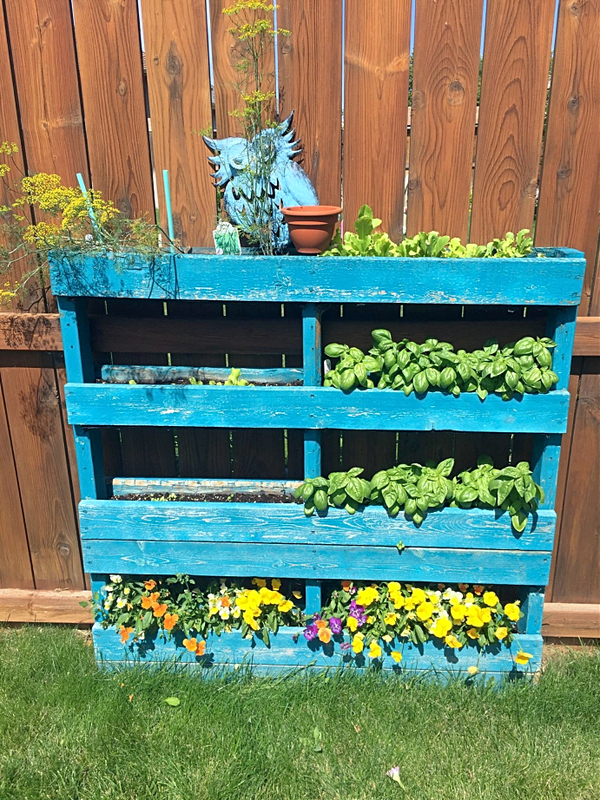 Container gardening does have it’s ins and outs, so check out this post on the 8 mistakes I made container gardening last year. P.S. Like these blue pots? 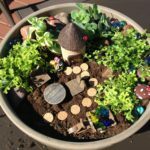 Here’s how I turned tired looking plastic pots into something fresh and new for my patio container garden. It’s way easier than it looks. If you think you might be moving during the summer, I highly recommend fabric grow bags with handles. The fabric folds up small at the end of the season, and they’re easy to move if needed. These potato grow bags are also super convenient if you want to grow more potatoes in less space–without hoeing or hilling multiple times during the season. You don’t have to dig up the earth to start a garden–especially in a city. it’s so much easier to put down some cardboard or landscape fabric, set up a raised bed, and add soil. Voila–a new garden space in an afternoon or weekend. 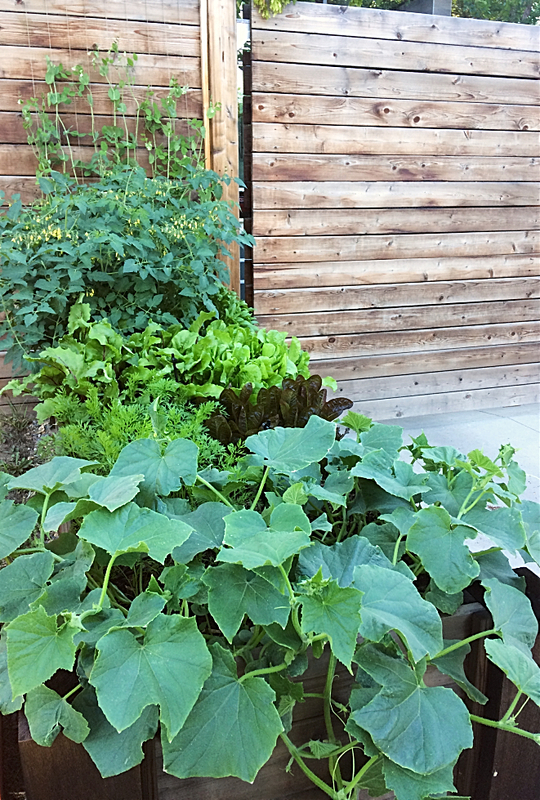 Raised beds aren’t just for the backyard either! I have this one right in my front yard and I love it. It’s a nice conversation starter with my neighbours and I’ve had many people stop their walk past my house and ask me about my garden. I also love this idea I saw on one of my walks around the city. 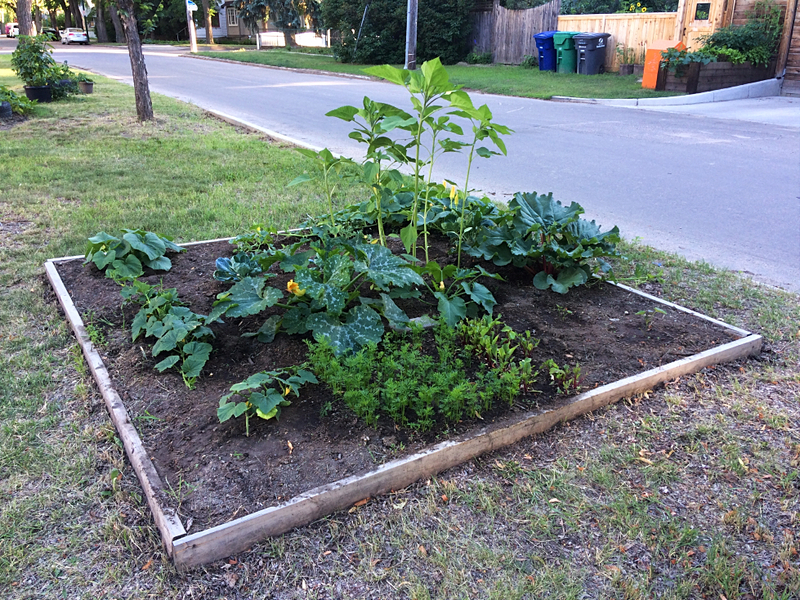 This raised bed is in the alley in a small space by a driveway. 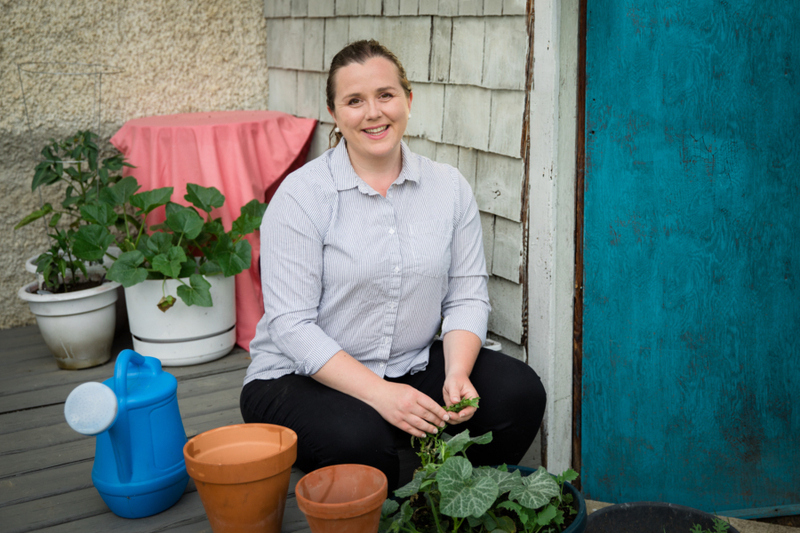 Why not turn your wasted space into a spot to grow food? There’s no law that says you must plant in rows with enough space to walk in between each row. I love visiting the two community gardens near my home, because I always get new ideas for how I can maximize my space. In this photo, the gardener left the bare minimum of space between plants with almost no room for walking. But really, is getting in-between the rows easily a priority when you don’t have a lot of space to work with? 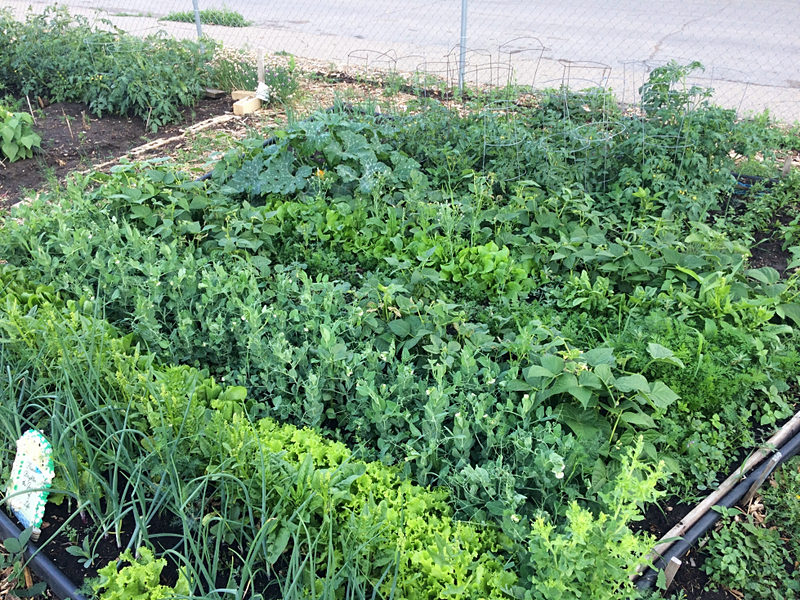 Last spring I decided to plant my entire garden using the square foot gardening method. 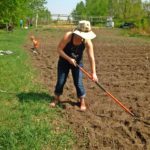 Instead of planting in rows, I used the Seeding Square and planted in a grid of 4×8 or 4×12 beds with pathways in-between. I absolutely loved it and had excellent results. In fact, I had so much space that I had to go to a greenhouse and get more plants because I didn’t know what to do with the empty space left over. 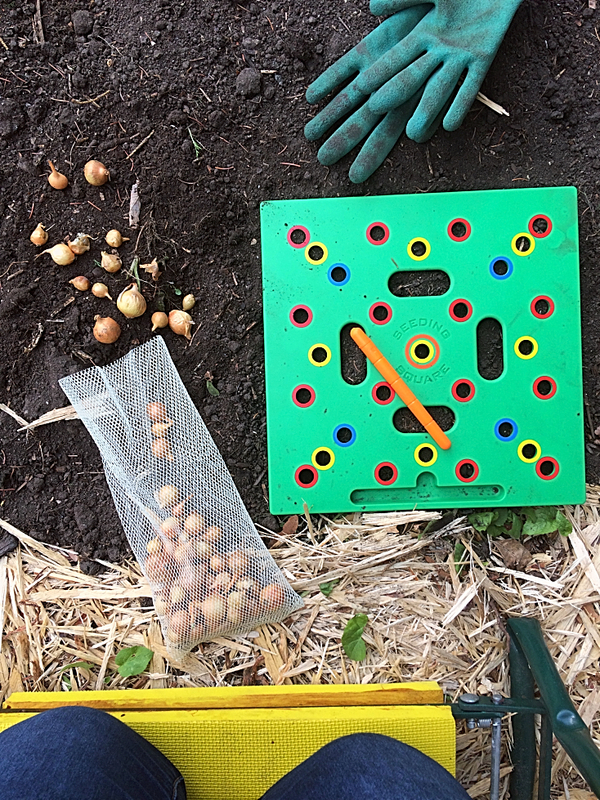 Want your own Seeding Square? Get it here for the best Price. Even better? My son who has zero interest in gardening asked to help. He loves playing with the Seeding Square, and I’ll take any chance I can get to encourage his love of gardening. 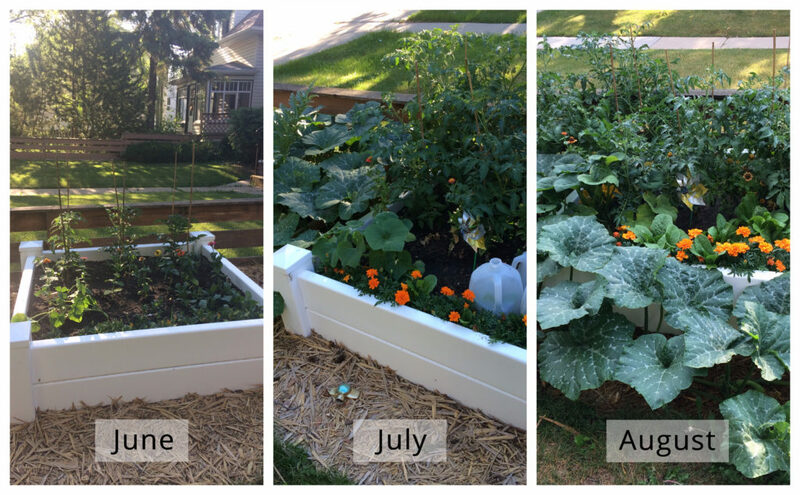 Here’s what my garden looked like month-by-month. It turned into quite the jungle, but I was really happy with how much food I was able to produce. Plants like beans, peas, cucumbers, squash, melons, and smaller pumpkins don’t need to take up precious space! It’s easy to build or purchase a trellis and save yourself some precious gardening real-estate. These are the cucumbers I planted last summer. They did really well and were so much easier to pick. I also maximized my planting space by growing a crop of spinach underneath the trellis. lettuce or radishes would also do well. If you’re not handy, here’s where you can get something similar on Amazon. 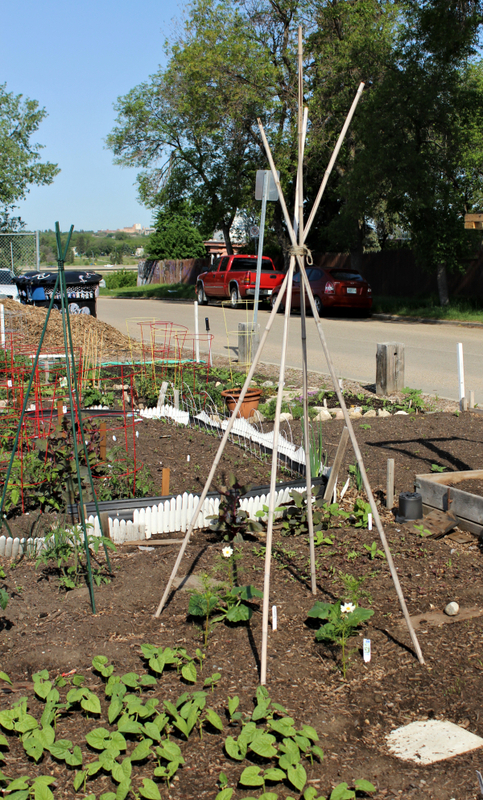 Vining beans are excellent to grow in teepees and make a fun playhouse for the kids. As you can see from the photo below, all you really need are some sticks of approximately the same size and some twine. Okay, I realize this solution won’t work for everyone, but if you live by one of these boulevards and your city allows it, take your garden to the streets! 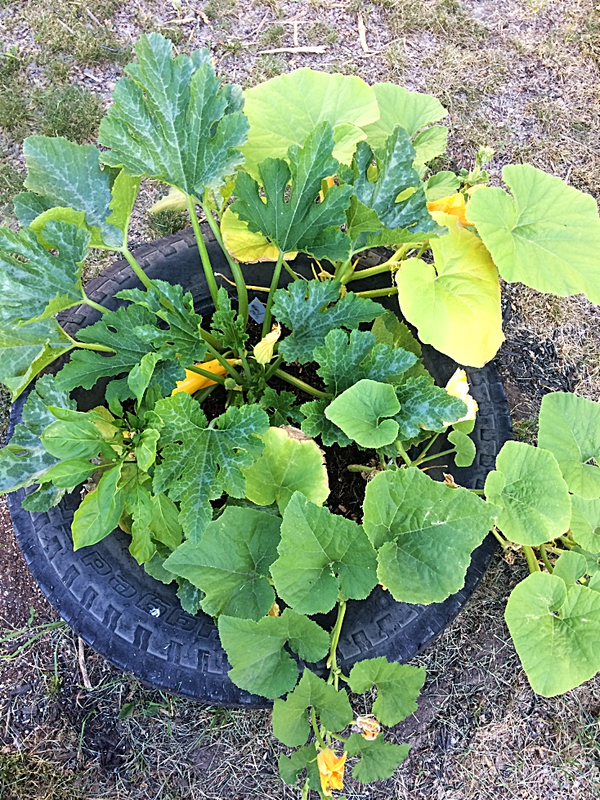 The simple raised bed (above) and the tire (below) are two simple and cost-effective solutions to get more gardening space. Not everyone has access to the materials for making their own raised beds, trellises, or other gardening solutions. Here are a few of my favourite products when you’re short on space. Many of them are great (under $30) if you’re on a budget. 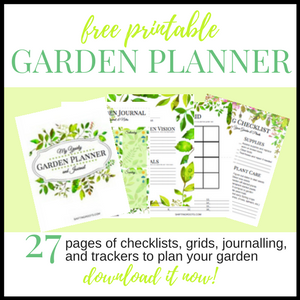 A copy of Free garden plans for Square Foot Gardens–I’ve designed these for use with the seeding square. Fabric Grow Pots–These are the largest size you can get and are great if you know you might be moving houses or apartments over the summer. Potato growing Pots–No hoeing or hilling required! A No-Nonsense Trellis for your pots. A stronger cage for your vining tomatoes, or this spiral version that takes up even less space. 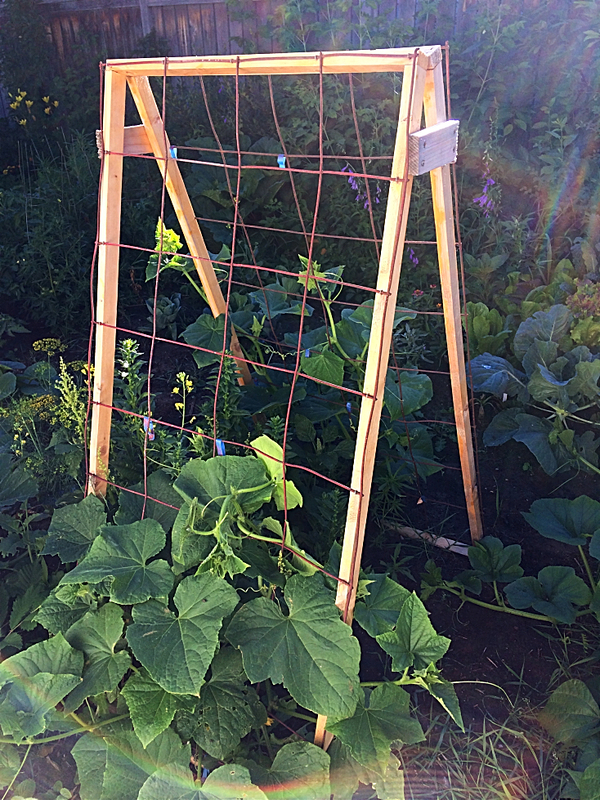 This trellis is similar to what my husband made me for my cucumbers. And this one is perfect for a row of peas. A Self-Watering Wall Hanging Planter for flowers, herbs, and greens on the. A stackable planting container for when space is really at a premium. 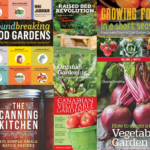 There are tons of options for raised bed garden kits out there. Here’s a couple to consider depending on your needs and budget. Need something cheap, cheerful, and easy to move if you move locations? Try this fabric raised bed. Here’s a good option for a tight space, like beside a driveway. It’s made of cedar, so it should last for around 10 years. Struggling with critters who eat EVERYTHING? Show them who’s boss without hurting them. Looking for an option you’ll never have to build again? Here’s a vinyl one similar to what I have in my front yard. 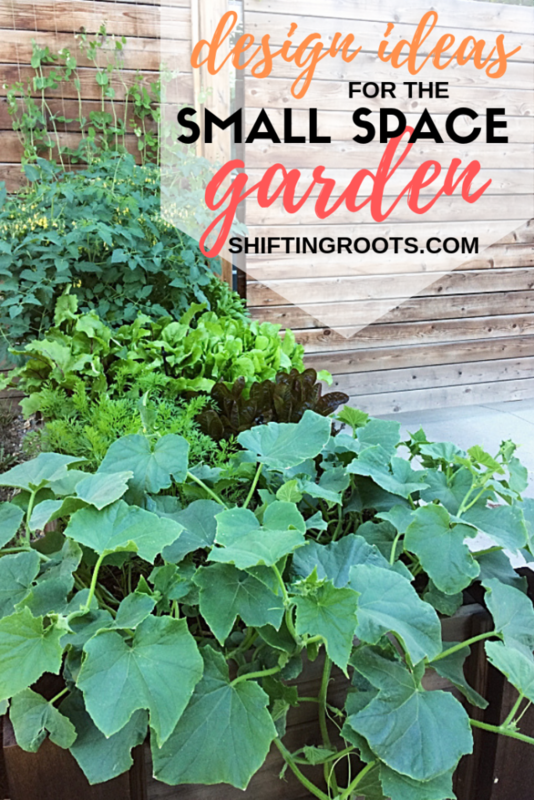 Do you have any clever solutions for gardening in a small space? I’d love to hear about it in the comments!